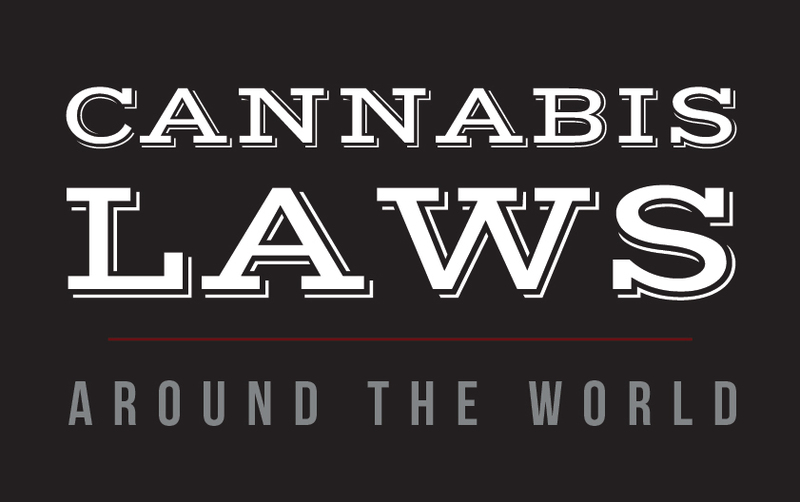 So what exactly are the cannabis laws around the world? Read this post to find out. Across the globe, the future of cannabis is in constant flux. Canada is hovering around recreational legalization, but has yet to make take the plunge. In the USA, states like Alaska, Washington, Colorado, and Oregon have made the leap to recreational use, while others take the middle ground of decriminalization and medical access, and still others continue to adhere to the plant’s illegal federal status. In other parts of the world, the laws are just as incongruent. Below, we take a look at the status of cannabis in other countries where the healing plant faces a wide range of legal positions. In the adjoining Americas, many countries have decriminalized the possession of cannabis, usually up to a certain weight. In Colombia, for instance, no criminal charges will be laid for people caught with up to 20 grams of the plant. Similarly, Ecuadorians can have as many as 10 grams on their person. Colombia has also made cannabis use legal, and Costa Rica, which currently upholds decriminalization, seems to be well on its way to the same. Argentina, Mexico, Jamaica, and Chile have decriminalized personal use of cannabis, while Peru has made reasonable possession legal. Uruguay is arguably the most liberal, with possession, cultivation, and sales deemed legal for residents over 18. Still, some countries remain firmly in anti-cannabis territory; in Brazil, cannabis is illegal, though reports suggest that in reality, few arrests occur in relation to the plant. As in America, Europe has jumped onto the decriminalization bandwagon, with countries like Spain, Austria, Switzerland, and Portugal making this important distinction. (In fact, Portugal has decriminalized all drugs.) Belgium has decriminalized possession as well, and the private cultivation of one female plant has been granted the same leniency. France and Romania allow products containing cannabis (ie: not flower) to be used for therapeutic purposes, and Ireland is in talks to join them. In the Netherlands, the reputation of Amsterdam suggests more freedom than actually exists. Within Netherland’s borders, cannabis products are openly consumed in specialty “coffee shops”, and people over the age of 18 can be in possession of up to 5 grams, but technically cannabis remains illegal, except for therapeutic use. Cannabis is largely illegal in Asia, with a few exceptions. In certain states in India, private citizens and business owners can seek government permission to sell, grow, or possess the plant. In Iran, there are no penalties for possession of cannabis, though reports differ on whether this is due to legality or governmental disinterest. Likewise, in Pakistan, cannabis use is common in cultural, community gatherings, and users are not often persecuted, despite the substance’s illegality. Despite a prevailing Western theory that North Korea is liberal-minded when it comes to cannabis, the country identifies the plant as a controlled substance in the same vein as cocaine and heroin. This confusion could have something to do with the abundance of legal (completely non-psychoactive) hemp grown in the country, but this wide-spread misunderstanding could lead to a lot of eager tourists behind bars. Africa, as a whole, is unfriendly to cannabis possession – it is illegal across the board. However, that federal law goes unenforced in countries such as Egypt, where cannabis is seen as part of everyday culture. According to the 2014 world drug report, Zambia is home to the 3rd largest collection of cannabis smokers, which is interesting as the plant has been illegal since colonizing forces brought in their anti-cannabis laws in the mid-20th century. Unfortunately, this concentration has led to the incarceration of thousands of cannabis users in recent years. Even in Ethiopia, the “spiritual home of the Rastafarian movement,” possession can result in six months of jail time. In South Africa, cannabis has been strictly unlawful, but in November of 2016, the government changed cannabis’ drug schedule ranking, and agreed to the legalization of cannabis for approved patients. Australia recently began their own step in the right direction: in October, 2016, cultivation of cannabis was legalized for approved producers. The applicants must meet rigorous requirements, and the list of acceptable conditions for treatment will be left up to individual states, similar to the situation in the US. Compared to much of the world, here in Canada we count ourselves lucky to have the access to cannabis that we do. Even if we still have a way to go, at least there’s our cannabis retail store which offers the largest selection of cannabis products in Canada. Some of the products we carry include flowers, select CBD items, on the go vaping solutions, oral capsules and phoenix tears, as well as non-psychoactive topicals.